I began my midwifery journey 10 years ago while pregnant with my first baby. After exploring all options, I chose to place myself in the care of a group of Midwives and planned a birth center birth. On July 24, 2006 I experienced my first out-of-hospital birth at the Beverly Birth Center in Beverly, Massachusetts. Shortly thereafter, our family relocated to South Florida and I quickly stepped into Birth and Postpartum Doula work. As I learned more about the midwifery model of care and experienced more hospital births, the distinction was all too clear. I began to seek out holistic birthing options for my clients and in turn discovered a community of birth workers, advocates and like-minded mothers. In 2011, I enrolled in the midwifery training program at The Florida School of Traditional Midwifery. During this intensive three year academic program and apprenticeship I learned from and assisted many midwives and families throughout South Florida. In August of 2012 I birthed my second baby at home with the loving support of sister midwives. As a midwife, I have witnessed over and over again how perfectly normal birth can be. I am blessed to have built connections and friendships with so many women and families within my community. A special thanks to these mothers for creating a space for me to serve you, and for trusting me as your guide and resource. Dellareece was born in the Caribbean island of the Bahamas and was raised in Miami. Her love for Midwifery began long before her training. With her gentle and calming spirit she was always asked by family and friends to be there with them when they went into labor. Patiently coaching and cheering them on through these moments gave her the pleasure of knowing that those women are now empowered to be Birthing Warriors. In 2006, DellaReece began her journey by attending and graduating from the International School of Midwifery. Her love for caring for women is as equally balanced as her love for her children, plus two adoptive ones and 8 grandchildren. Upon being licensed she has been serving the women in her community ever since. Also, as a certified Nutritional Therapist, she believes that a healthy mom, equals a healthy pregnancy and healthy baby. Amanda Mann, LM was educated at the Florida School of Traditional Midwifery. Since 2004, Amanda has been involved in birth as a sister, a doula, a birth assistant, a student midwife, and most importantly, as a mother. Amanda fervently believes that birth is an essential life process that has the potential to transform, inspire, and engage. As a lifelong citizen of the greater Lakeland area, she believes that midwifery is the intersection of her greatest passion and her community’s greatest need..
Na'imah is a Certified Labor Doula, Childbirth Educator and Breastfeeding Counselor. She is a peaceful yet spirited mother to 3 magical children. As an experienced Birth Assistant, Na'imah has provided care to women and their families for over fourteen years. Her passion is serving women and their families throughout this momentous time. Na'imah accompanies women as they prepare for childbirth, and continues to support them in birth and beyond. Na'imah shares her wisdom and understanding of birth, breastfeeding and holistic parenting to advise and support women in their decision making process. She sees her work as one of nurturing women as they explore their birth visions and walking with them as they uncover their own practices and rituals that will birth these visions into being. Na'imah understands the dynamic nature of pregnancy, labor and birth and incorporates these various aspects when consulting with clients. Marina is currently the bilingual International Board Certified Lactation Consultant on staff at Hialeah Hospital, where she also teaches Childbirth and Breastfeeding classes for couples both in English and Spanish. A tireless advocate for all causes mom/baby, she has worked for the last 10 years in very diverse environments both in public health and private practice. Fabiane is a certified birth and postpartum doula, certified placenta encapsulation specialist, and certified breastfeeding counselor. She is certified with the American Red Cross in Adult, Child & Infant CPR and has had advanced doula training with education complimentary to doula work such as neonatal resuscitation with Karen Strange, rebozo, yoga for birth, newborn care, baby wearing, herbal medicine for pregnancy, aromatherapy, massage therapy, acupressure, hypnobirthing and essential oils for pregnancy and birth. She uses her various talents and experiences to aid women and their families before, during, and after their birth. She has supported many family’s births at home, in birthing centers, and in the hospital. She has supported women seeking an unmedicated childbirth, planning for an epidural, having a VBAC (vaginal birth after cesarean), having twins, high risk births, as well as cesarean births. Her belief is that every woman deserves a safe and empowering birth experience, and therefore she provides information, support, and a wealth of compassion and sensitivity to each of her families. Fabiane is fluent in English and Spanish, she has a background in psychology, nursing and midwifery. Tamara Taitt, MS, LMFT, LM. Licensed as a midwife and a marriage & family therapist Tamara has a varied background in women’s reproductive health activism and has been working in maternal, infant and child health for the last fifteen years. Tamara has a deep interest in the sustainability of the midwifery profession and politics as they relate to birth. Currently pursuing a Phd in Family Therapy, her clinical and research interests focus on exploring mental health issues that are pervasive during the childbearing year particularly the experience of postpartum depression, post traumatic stress related to birth and perinatal bereavement. Tamara currently serves on the board of the Florida School of Traditional Midwifery and as the Director of Student Life, Access & Equity at the Midwives College of Utah. Originally the owner of Motherpath Doula Services, Michelle is a birth & postpartum doula, childbirth educator, yoga instructor, and a passionate breastfeeding and natural birth advocate. Michelle is the mother of six children and has given birth in hospital and at home. Her background is in women's studies, community building and organizing, and birth options advocacy. Michelle has been attending births and supporting women through the childbearing year for over 25 years and is the co-founder Project Motherpath (formerly Birthgirlz), a non-profit organization working to normalize and revalue all aspects of motherhood in our communities through education, outreach and activism. Dr. Spence is an obstetrician-gynecologist with more than 20 years of experience. In 1994, he successfully graduated from the New York Medical College. Dr. Mark Spence is the former chair of Obstetrics at North Shore Medical Center, and he is well known for professionalism and attentiveness. His professional philosophy is to practice evidence based medicine and to help women birth naturally give birth with the knowledge and tools they need to have a healthy baby. Dr. Spence supports VBAC (vaginal birth after cesarean) and vaginal twin birth. 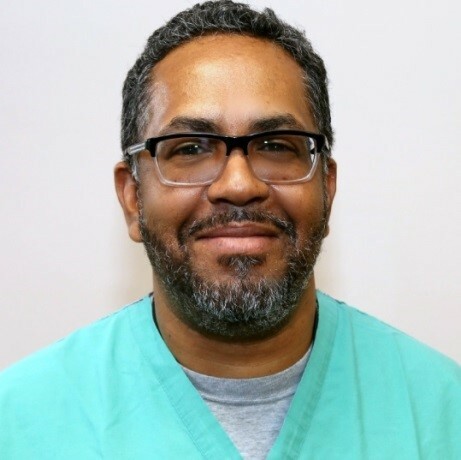 Dr. Spence is a member of the American Congress for Obstetrics and Gynecology (ACOG) and also the happy father of eight children.